No remains of building, mill runs and dams exists. There appears to be two mill runs. The longer, higher (newer) one is featured below. Seneca Creek and River Road. Site is covered by the road. Cornelius Elting, Isaac Eltinge, Abraham Ferree, George Graff, Charles Beatty & Bernard O'Neill & Willian Deakins Jr., Thomas Beall of George & William Smith & Samuel Williams, Washington Bowie & Benjamin Hersey, Clement Smith, Francis Dodge, Robert P. Dodge, John Darby & Upton Darby, Wilson B. Tschiffely. The tract, Seneca Ford, was surveyed for Cornelius Elting in 1732. The same year he had surveyed a tract he called Mill Road, adjoining Seneca Ford, which strongly suggests he had a mill at that time on Seneca Ford. Isaac Eltinge was Cornelius' son. Abraham Ferree was Cornelius' son-in-law. In 1775 A. Ferree conveyed Seneca Ford to his son-in-law, George Graff. In 1790 Bernard O'Neill and William Deakins Jr. owned Seneca Ford. 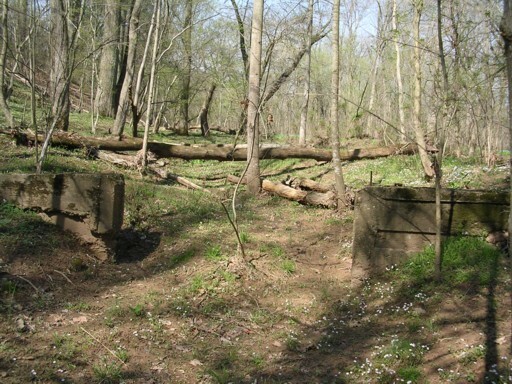 They advertised the tract as "situated on the mouth of Seneca Creek and the boat navigation of Patowmack"
By 1799, William Smith, Samuel Williams and Thomas Beall had a new mill on the Seneca, built not quite five years earlier, which ran two pair of Burrs and one pair of country stones. In 1825, Washington Bowie owned "part of Seneca Ford and Mill thereon" plus 280 acres of "Middle Plantation," "Thomas Discovery" and some islands in the Potomac. He also owned Bowie Mill in Olney. 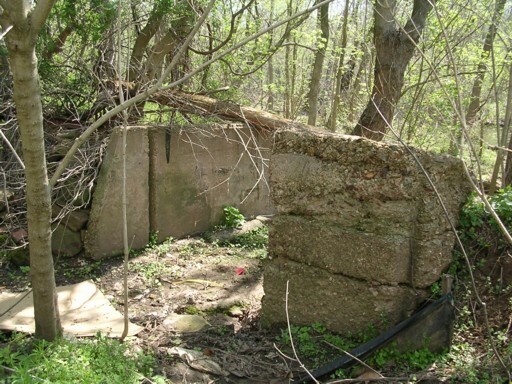 The mill was on the north side of River Road and later moved to the other side. By 1860 it had 5 running stones. On June 11, 1863 there was a skirmish between the Confederates, John Singleton Mosby's troops, and Union troops at the mill. The mill caught fire during the fight. In 1865, it was owned by Upton Darby who was an atlas patron. 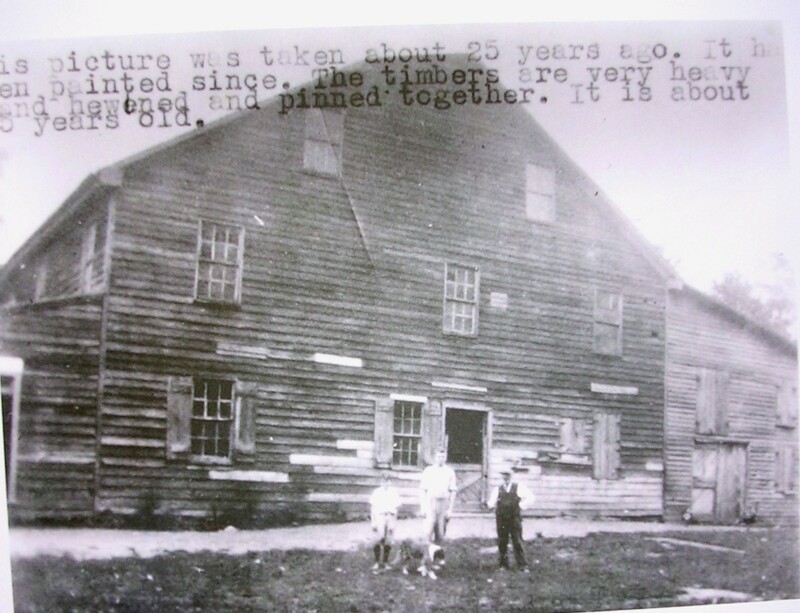 The mill burned twice while Darby was owner. The first time he rebuilt at once. It burned 18 months later at a loss of $35,000 and was again rebuilt. There was a narrow gauge railroad that took flour and other mill products from the mill to a warehouse Darby owned further down Seneca Creek by the present day parking lot. From there it was loaded onto grain boats. Upton Darby left the mill to his son Ernest Hicks Darby. Wilson B. Tschiffely bought the mill from E. Darby and operated it from 1900 to 1918. He sold it to his son Thomas Tschiffely. The mill closed in 1931. In 1957, the mill was a four story wood frame flour mill. 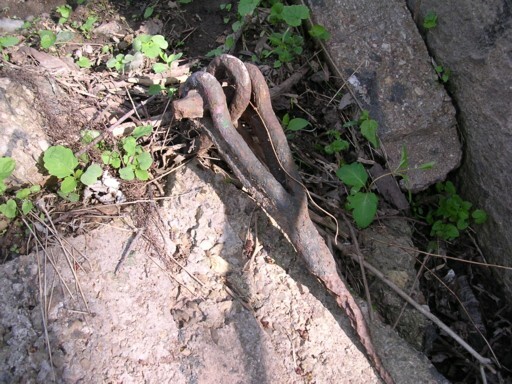 It had been abandon for about 25 years. It was torn down when River Road was improved. The mill run may be seen behind the storage building just to the right of Pool's store. 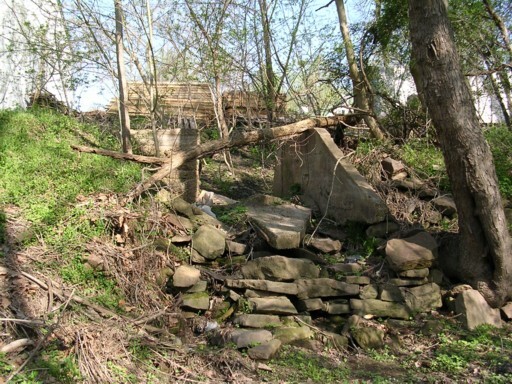 The mill pond was located by the back of the storage building. Its overflow dam is still there. 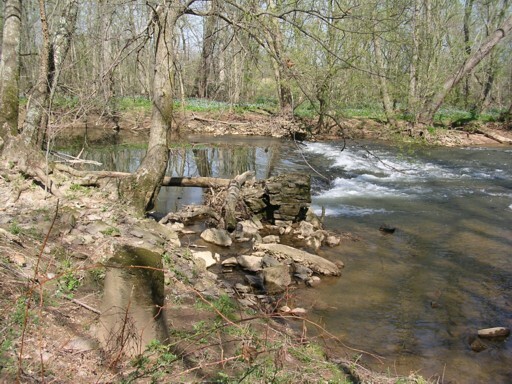 The diversion dam, which channeled water into the mill run, may be seen if one parks where Berryville Road runs adjacent to the creek. Look upstream.